Osteopathic treatment is beneficial among athletes across all sports and at all levels. Suffering from a sports-related injury can affect one’s overall performance. If you’re looking for a way to heal your injuries quickly, we highly suggest giving osteopathy a try. Should you treat sports injuries? 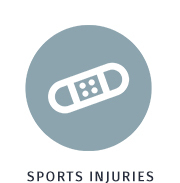 First-aid treatment for sports injuries is typically performed by athletes themselves. Although they deliver pain relief and improve comfort levels, it is a must for athletes to seek professional help for more comprehensive and specific treatment and to develop a pain management plan. 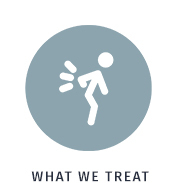 You may not consider an osteopath as your first solution for treatment, but in most cases, the services they render are found to be some of the most effective. Why should you go to an osteopath in Melbourne for sports injuries? To reach your peak level of fitness and performance, you need to include osteopathy as part of a holistic treatment plan. Injuries undeniably prevent you from performing at your best. Osteopathy is the perfect complementary medicine as it targets the injuries as well as improves your level of performance, too! With the best osteopaths in Melbourne, you will be prescribed a specific sports injury therapy that will work to support fast recovery and prevention. A sports injury therapy usually starts by facilitating the bodies healing process through improving blood supply to the affected areas via techniques such as ultrasound therapy, cross friction massage and joint/soft tissue mobilisation. Injured sections of the body then undergo various techniques such as stretching and sports massages and rehabilitation advice. Specific guided rehabilitation exercises, and alignment via osteopathic treatment need to be performed to ensure a balanced body. Using osteopathy to manage sports injuries is effective in that it addresses all phases of healing and treatment; from the moment an athlete sustains an injury to rehabilitation and restoring peak functioning. Call us now on 03 9663 5450 to book your very first osteopath session. 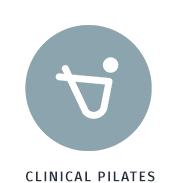 To know more about our clinic and the services that we render, click here.